Anyone who has information about an SEC-regulated company engaging a suspicious event, marketing, or advertising company may have a reward eligible case. Companies will often use event companies, marketing consultants, and advertising entities to pay bribes to foreign government officials. Typically, corrupt officials will direct company personnel to pay an event or marketing company to put on some type of conference, which the corrupt officials are managing. The corrupt officials will direct the companies’ personnel to use a specific marketing or event company that they either own or are affiliated with so that they can keep much of the funds for themselves. If anyone working for an event company or a marketing firm has information about payments or incentives being provided to foreign officials in order to benefit an SEC-regulated company, he or she should consult with experienced counsel, as this information could be extremely valuable under the Dodd-Frank reward program. Similarly, sales managers working abroad also often have information relating to their companies using suspicious consultants to provide benefits to foreign officials. Any sales manager or employee who has such information may have a reward eligible case. In addition to company sales personnel, procurement and finance personnel also are typically aware of suspicious consultants and advertising entities. Procurement personnel are often involved in placing the event and marketing entity on the company’s approved vendor list. Finance personnel are involved in approving payments going to these suspicious entities. 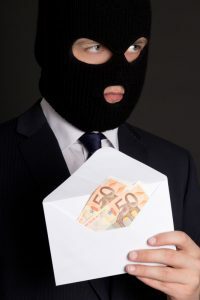 As noted above, if anyone becomes aware of an SEC-regulated company engaging a suspicious marketing or event company, he or she may have a reward eligible case and should feel free to contact me for a free, confidential consultation. For more information and details about how whistleblowers can obtain rewards under the SEC’s program, please click here.